Though we had laser-scanned real bricks, that wasn't close enough, given the various things that happen to plastic parts during the molding process. We literally had to 'grow' the mold, a tiny step at a time, until we got the 'fit' that we desired. Nor was 'size' the only problem. The photo here is of a very early pre-production part. The cloudiness you see below is not present in the real parts. We solved this particular problem by a combination of a slight materials change and a change to the pressure used during the molding process. Just another problem we had to solve on the way toward brick mastery! The case is a fairly complex part, as far as injected-molded plastic parts go. Getting the mold to fill evenly is a bit of a black art. The plastic starts to cool as soon as it starts to flow into the mold. As a result, the leading edge of the injected plastic immediately begins to thicken. There is a limited time in which the mold can be filled, and the part made. Here is an animation of the mold filling with hot ABS plastic. As the color runs from cool (blue) to hot (red) you can see how the plastic part is formed. We've finally entered production. Our current production rate is 85 parts per hour, or approximately 2,000 parts per day. Yes, the factory will crank 24x7 until the entire initial order is done. While production is running now (first clear, then white, and finally black cases are being run), these shots are actually from a pre-production trial back in November. They show the four parts to the mold (back, cavity and two sides), mounted in the press. If you look closely, you can see the injection ports and extraction pins. Warning... Warning... 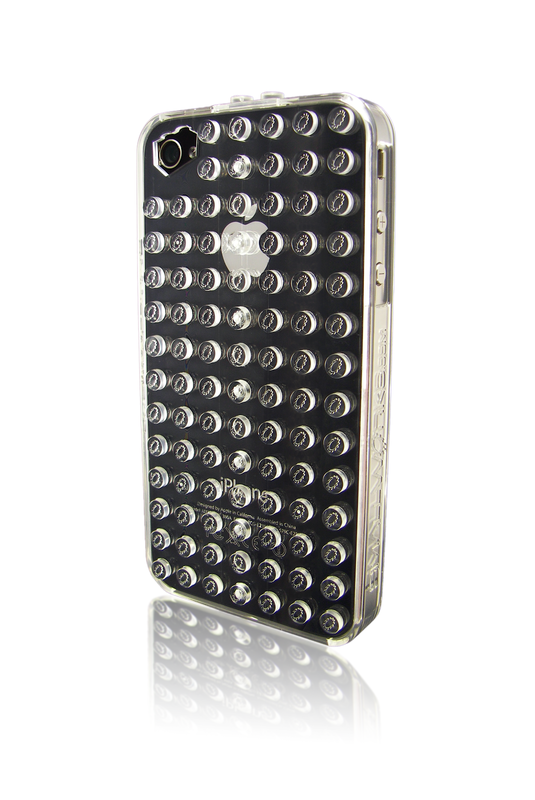 The Evil Ogel is attempting to take over the world with a new case for iPhone! © 2010 Rubicon Communications, LP. Powered by Blogger.